SavvyConnect Review: Scam or Easy Passive Income? SavvyConnect is a part of a well-known survey site called SurveySavvy. You can download SavvyConnect on Mac, Windows, Android, and IOS. It’s an extension that tracks your online activity and unlocks higher paying surveys and projects on SurveySavvy. There’re some privacy issues that I know some of you may have, but it looks like SavvyConnect is actually scam free and does pay. If you’re comfortable with the privacy concerns, this might be an easy way for you to earn some passive income each month. In this SavvyConnect Review, I’ll cover how the program works, how it pays, the complaints I have, and if it’s a scam. In this SavvyConnect Review, I gave them a pretty good score and marked it legitimate. If you’re going to use SurveySavvy to take surveys you might as well use this service, because it does unlock much higher pay. Even if SurveySavvy isn’t a survey site you use, SavvyConnect can be a pretty easy passive income. The major thing with SavvyConnect is if you’re comfortable downloading a browser extension and tracking app on your mobile device. If privacy is not a concern, SavvyConnect is probably for you. If you’re worried about privacy, I recommend skipping SavvyConnect and checking out one of the Extra Income Sites I Recommend. Visit SavvyConnect.com to get started. To join, you’ll need to enter in a bit of information about yourself. The process should take less than 5 minutes, and you’ll be ready to move on to the next step. Once you have an account with SavvyConnect, it’s time to install the extension on your devices. You can download the extension on Mac, Windows, Android, and IOS devices. Each process is pretty straightforward and easy to complete, they do give you the option to SMS a link to your mobile devices. Once you download SavvyConnect on all of your devices, you can sit back and wait for awesome projects to roll in. One thing I’d like to mention, the more devices you have connected, the higher paying projects you’ll receive. Install SavvyConnect on three devices and you’ll maximize your project invitations and income. *All US Members automatically get invited to a Gold Survey Project that pays $60. All you need to do is live in the US, install SavvyConnect on three devices, and keep it installed for 90 days to get paid. Once you’ve received and accepted a SavvyConnect Project, there’s no need to do anything different. Just continue to use your devices to browse the internet. As long as you keep the SavvyConnect extension installed on your devices for the required amount of days, you’ll get paid your earnings! SavvyConnect is part of SurveySavvy, so you’ll get paid from SurveySavvy, luckily the accounts are linked, so it’s easy to keep track of your earnings. SurveySavvy pays via check once you reach $1 in earnings. Without having SavvyConnect installed it takes 8-12 weeks to get paid, but when you use SavvyConnect payments are mailed out within one week of requesting payment. The biggest complaint of SavvyConnect is privacy, but honestly, everything you do on the internet is tracked these days. On their FAQs, they state that the only information they collect is web browsing, for example how long you stay on a website. They also say that all data is collected, synthesized, and presented in an aggregate format (basically, they can’t tell that your data is from you). The last complaint I’d like to mention is about keeping the app updated. 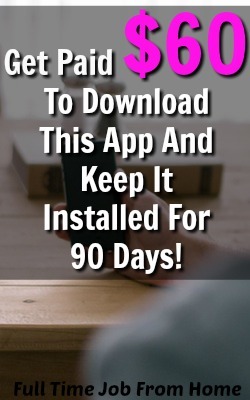 Most of the projects that you’ll get invites to make you keep the app installed for 30, 60, or 90 days. Occasionally SavvyConnect will put out updates to their extensions. If you don’t do the update, it could not collect data and could ruin that project. I’ve heard a few members say the app did not update on their phone and they lost out on some easy money. SavvyConnect is not a scam, I’ve seen proof of members getting project invitations and getting paid for them. If you’re comfortable with some privacy concerns, it’s honestly a pretty easy way to make some extra cash. I will say that it can slow down your devices, so make sure to take that into consideration before joining. If you’d like to learn more or to join SavvyConnect, visit SavvyConnect.com to get started. I do not use SavvyConnect because it slowed down my computer so much, but there’s plenty of other ways to make money online that won’t slow down your computer. 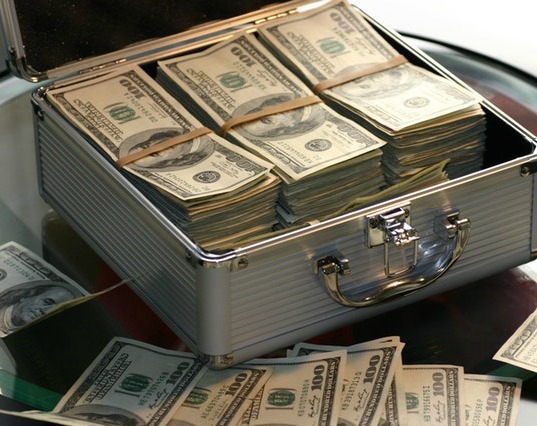 If SavvyConnect isn’t for you, check out all of the Extra Income Sites I Use to make money online. You can also see how to make a much larger income by starting your very own blog. Don’t worry it’s not as difficult as it sounds and I’ll teach you how for completely free at My #1 Recommendation.